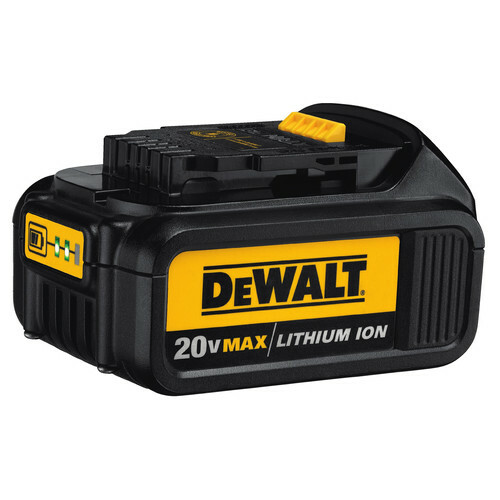 DeWalt's DCS551B Cordless Lithium-Ion Drywall Cut-Out Tool (Bare Tool) features a 26,000 RPM motor that delivers fast cutting in drywall, acoustical ceiling tiles, plywood, etc. A tool-free bit change allows for fast and easy bit changing without the need for a wrench, while the dust-sealed switch protects against dust ingestion, resulting in longer tool life. It is commonly used for cutting holes in drywall for recessed lighting, electrical boxes, or outlets. Collet Size: 1/4 in. / 1/8 in. Works and runs great but the life span of the tool is not good. Three in three years ??. This tool is exactly what I expected it to be before I purchased it. It's very reliable and works well to cut out boxes for electrical work and rough openings for doors and windows. This tool makes cutting out drywall for can lights, outlets and switches as easy as can be. Be sure to wear eye protection because it will get dusty. I’ve had this thing for about 3 years I think, and I love it! So handy to grab for a little cutout job and lots of power. The product has some good idea features but I wish they did them better. For the money I would like to see XR brushless. Also the light position could be better. The tool free design is clunky and my father in law has a horrible time trying to figure it out. All in all the product is great and works as expected, this is a pro product but it just seems built more for a diy guy. Which for me is perfect because I do construction work here and there for friends and family. This thing has a bunch of niche uses and I really like it. Plenty of power and then some. This tool works great once you get a feel for it. The depth guide definitely takes some getting used to but once you do you shouldn't have any issues using it. My only issue is figuring out how to not get all the dust blowback in your eyes and face. Is there a 5/32 collet for this tool? BEST ANSWER: Model DCS551B does not have any 5/32 collet. It will be too big for the Cut-out tool. Is there a 5/32 collet for this tool ? If it fits 1/4 inch why not 5/32? Can I use router bits with it ? Can I use thes with a laminate bit?